After our awesome walking tour around Winchester, we were dropped off at the Cathedral to take part in our next and final tour. I had no idea that the inside of the Cathedral was just so vast and impressive! Our tour guide, Elenor, was just amazing, bestowing fact after fact on us and we left filled to the brim with lots of new knowledge that I’m going to share with you today! 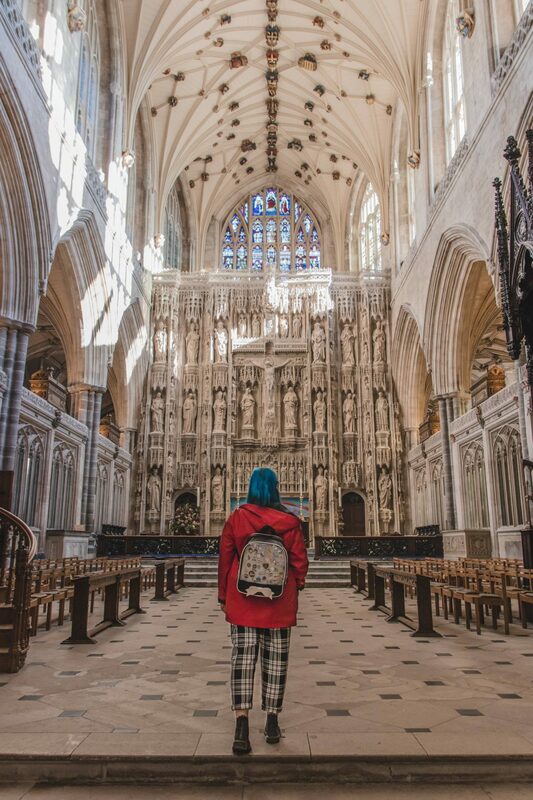 As mentioned in my walking tour post, the Cathedral was built over a fair amount of time, between 1079 and 1532 to be exact meaning that Winchester Cathedral has had quite an unusual architectural history, which makes it all the more visually appealing, I think! The exterior, apart from the newly modified windows, gives the impression of a massive Norman building and when it was first completed it was second only in size to Saint Peter’s Basilica in Rome! That’s pretty darn huge! On the inside, only the crypt (more on this later) and the transepts have retained their Norman appearance. The very famous, highly photographed, West Front is now Perpendicular, with its huge window filled with fragments of medieval glass (more on this later too!). The cathedral has the longest nave and overall length of any Gothic cathedral in Europe, with its tall arcade arches and strong vertical emphasis which has been literally carved out of the original Norman interior. I couldn’t even begin to think of how much work this must have been and how the poor workmen wouldn’t have had the tools we have today to make it easy! The ornate, soaring 15th-century stone screen behind the high altar (what I’m taking a look at in the photo below) is one of the most important monuments of that time period. The originally painted statues that once adorned this stunning screen are gone as they were destroyed in the Reformation, but this newer take on it is still beyond impressive! 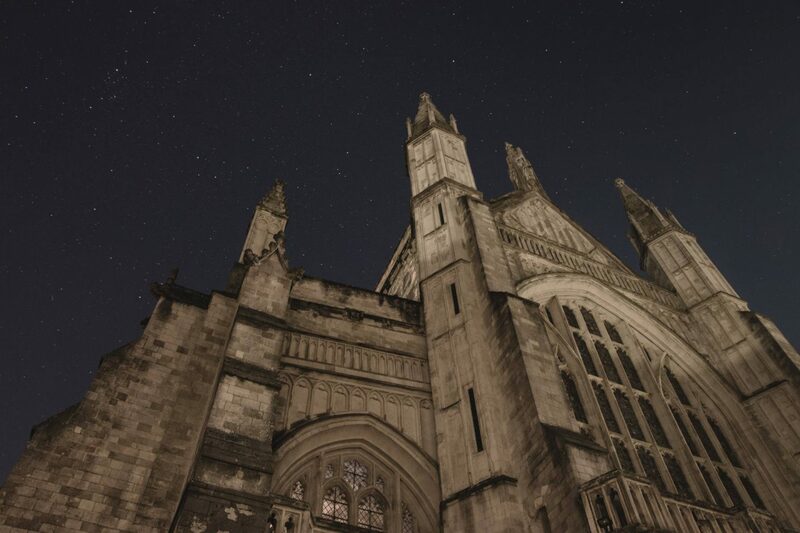 Swithun was an Anglo-Saxon bishop of Winchester and subsequently patron saint of Winchester Cathedral and his body, having moved around a few times, is buried towards the back of the Catedral. His real historical importance as bishop has been greatly overshadowed by his reputation for posthumous miracle-working and lead to many pilgrimages to be healed by him. In fact, the amount of those making a pilgrimage to his grave was so high that they moved his body out to a retrochoir, that was built in the early 13th century so they could visit his shrine and enter the ‘holy hole’ beneath him. My favourite fact we learnt was that the earliest glass in the Cathedral dates back to the 1330’s which was the glass in the huge window of the West Front. 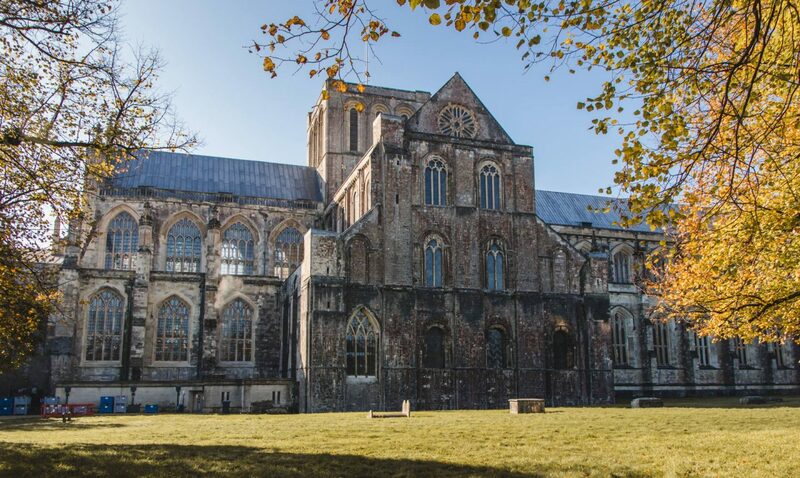 During the Civil War of the 1640s, many of the windows were smashed, and the wonderful residents of Winchester snuck out and took as much as they could. Once the war was over and they were due to repair the window, those wonderful residents reappeared with all the glass they had managed to salvage. This meant the window you see now isn’t the original window from the 1330s but is a mosaic of the glass from that window! My second favourite fact was that the early 1900s there were fears that the east end of this incredible building would collapse, after centuries of subsidence. Can you imagine just how heavy the Cathedral is?! But this was put right by the amazing deep-sea diver, William Walker, who worked underwater in total darkness for six years to stabilise them and make sure the Cathedral would remain standing! Below the Cathedral is the superb low-vaulted stone crypt dating from the earliest build of the Cathedral in the 11th century which we were lucky enough to get a private tour of when the water levels were zero! As during the rainy months, this often floods! 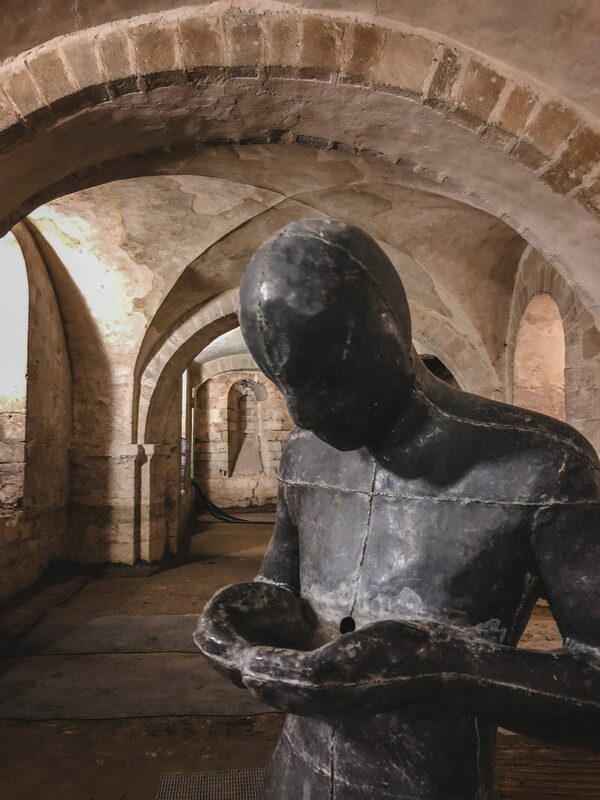 Here is where you’ll find Antony Gormley’s mysterious life-size sculpture of a solitary man, Sound II, which can sometimes be seen standing up to its knees in water. I can imagine just how eerie Sound II must look in the dark! We were also shown some of the ancient stonework from the original West Front that has had parts replaced over the years and it was just amazing to be so close and even able to touchstone from the 11th century! There was so so so much more that we learnt on our tour arranged for us by Visit Winchester, that I honestly think you need to go and experience on yourself. 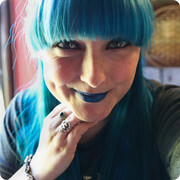 "Cocktail Catch Ups at Oslo, Hackney *"
"A Guide to Choosing the Right Hardwood Floor Colour"